Here’s a nice video feature by UA News on our 2015 Band Camp. Support us by making a donation! 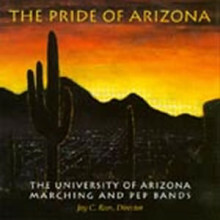 Your secure online gift goes directly to the Pride of Arizona. © 2019 The Pride of Arizona. All Rights Reserved. Website Feedback.